Photographing any artwork that is 3D is difficult and actually, best left to the experts. 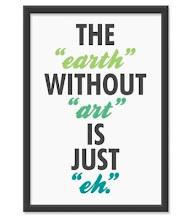 That being said, though, we still try to DIY it with less than stellar results. 3D objects have many varying surfaces that reflect the light differently, let alone having the depth of field spot on so that the entire object is in focus. In fact, larger 3D objects have different needs than smaller objects, like jewelry. It's a tough arena to conquer! However, economics dictate for many of us that we DIY it. So, here's a short video I found that might be helpful. It won't make you an expert, but perhaps it has some pointers that you will find useful! You can buy this book by pre-ordering your copy at Interweave Studios. The author, Jim Lawson photographs the jewelry for Lapidary Journal. If you haven't noticed, the images in that publication are scrumptious and gorgeous! If you know other books that you find helpful, feel free to leave us a comment and we will post that too! 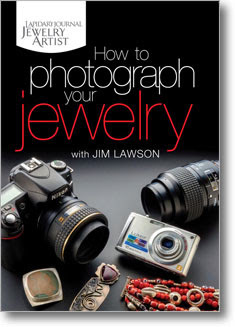 Jewelry Making Daily Blog also has a great post on what to do and what not to do in photographing your jewelry.